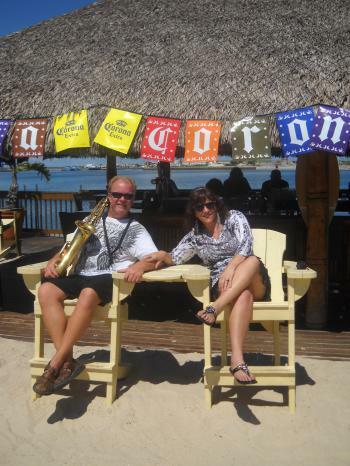 Sax On the Beach the new duo in Florida, playing great songs from the Classic Rock era and newer. Come hear the vocals of Maria and Dave, combined with the smooth sounds of saxophone. Also look at schedule for Kooj one-man band.